Why are the ecosystems at risk? Garry oak ecosystems are restricted primarily to the southeast coast of Vancouver Island and the southern Gulf Islands. These ecosystems occupy only a small portion of the Coastal Douglas-fir zone, which itself comprises only 0.3 percent of the land area of the Province. During the last 150 years, agricultural and urban development has consumed substantial areas of the natural landscape. Overall, urban development has had a major impact. The largest continuous occurrence of Garry oak woodlands was formerly in the urban center of Greater Victoria, a region that is now almost completely developed. Parkland and meadows, once common in this area, are in extreme peril. The trend continues, with many developments imminent. Today, Duncan, Nanaimo, Hornby Island, Saltspring Island, and Comox all have Garry oak landscapes threatened by development. Although the death may be a slow one, construction near oaks can lead to tree mortality. Fire suppression has allowed Douglas-fir to invade areas once dominated by Garry oak. Overgrazing by domestic and feral livestock, including pigs, sheep, goats, cattle and horses, as well as introduced eastern cottontail, and recently feral pet rabbits, has caused non-native plant species to become dominant. These introduced plants spread widely after European settlement. Exotics, such as orchardgrass and sweet vernalgrass may comprise over 30 percent of the total species in Garry oak ecosystems. Rapid spread of Scotch broom has also replaced native plants, changed soil nutrients, and dramatically altered the make-up of these ecosystems. The increased rarity of many native species is another result of these changes. A new peril to Garry oak is posed by the spread and serious impact of two introduced insect pests: the jumping gall wasp and the oak-leaf phylloxeran. 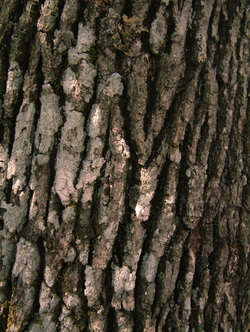 The "scorching" of oaks by these insects results in a potential threat to the ecosystem. Scorched oaks may be mistakenly cut down as "dead," when they are actually still alive.